Funko has immortalized Netflix’s popular television series GLOW with a new series of POP! vinyl figures! Check out these two Gorgeous Ladies of Wrestling – arch rivals Ruth Wilder as Zoya the Destroya and Debbie Eagan as Liberty Belle. The Blot really hopes there are more GLOW POP! vinyl figures in our future! 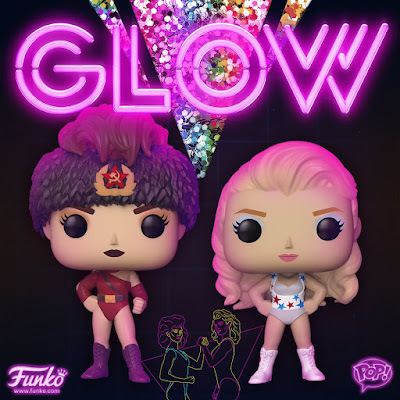 Each GLOW Pop! TV vinyl figure stands 3.75” tall, features one point of articulation and comes packaged in a full color displayable window box. Collectors can pre-order these two Netflix figures now from Entertainment Earth for $10.99 each here.